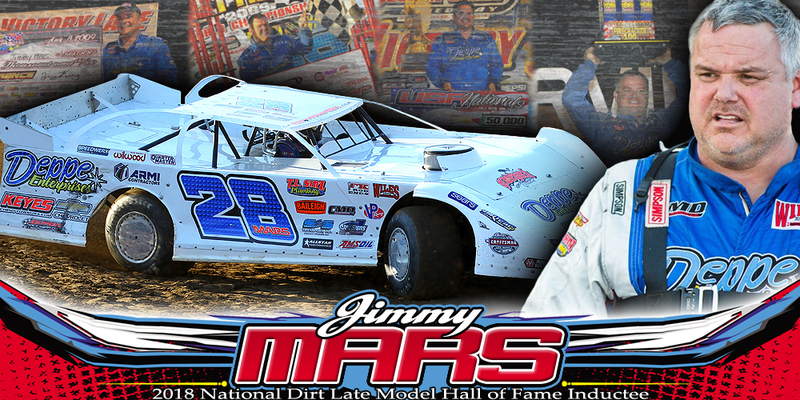 (April 10, 2019) Returning to action for the first time since Arizona in January, Mars Racing invaded Farmer City Raceway in Farmer City, Illinois on April 5-6 for the 12th Annual 'Illini 100,' which was once again sanctioned by the World of Outlaws Morton Buildings Late Model Series. On Friday night in the $6,000 to win weekend opener at FCR, Jimmy Mars laid down the tenth quickest lap in Group A during the qualifying session prior to grabbing the fourth and final transfer spot through his heat race. In the 25-lap sprint, which was contested on a rugged racing surface, Jimmy worked his way past a handful of cars en route to a steady tenth place showing. At the 1/4-mile fairgrounds oval on Saturday evening, a standing room only crowd was on hand to witness the $15,000 to win weekend finale. Jimmy stopped the clock second fastest in Group B during time trials before placing second in his loaded heat race. After drawing the inside of the third row prior to the start of the 75-lapper, the Menomonie, Wisconsin Hall of Famer steered past a trio of competitors on his way to an impressive runner-up effort behind only victor Brandon Sheppard! Complete results from the two-day 'Illini 100' can be found online at www.woolms.com. The #28 team is slated to take the upcoming April 12-13 weekend off from racing competition, but the crew will be hard at work in the Mars Race Cars shop preparing and building MB Customs machines for their customers. Next up on their racing schedule will be a trip to the Hawkeye State of Iowa on April 19-20 for a pair of Lucas Oil MLRA Series showdowns. The sprawling 1/2-mile oval at Davenport Speedway in Davenport, Iowa will play host to a $5,000 to win program next Friday, while 34 Raceway in West Burlington, Iowa will cap off the doubleheader next Saturday with the annual running of the 'Slocum 50,' which once again boasts a $10,555 top prize. More information can be obtained by clicking on www.mlraracing.com.